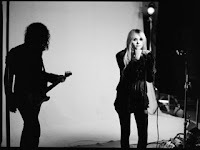 Want to see The Pretty Reckless for free on their upcoming Going To Hell tour? We can help you! 3) Tweet: "Hey @AlterThePress! I want to win tickets to see #ThePrettyReckless in (your town name) this fall!" The contest closes on September 19th. Tickets are only available for the tour dates listed below. All dates for the band's Going To Hell tour can be found here. Good luck!